Porsche Panamera tuning and ecu remapping – world first ! Porsche Panamera tuning, everyone wants it, but for so long Porsche Panamera tuning has been unavailable, there have been rumours of tuning, but no proof, well now it’s available at Viezu tuning and our 300 worldwide dealer network. ECU remapping is our passion at Viezu, it’s all we do, we are constantly developing new vehicle tuning and the very best tuning files in the world, and the best news is it does not matter where in the world you are, we have a solution and a Porsche tuning dealer for you and it does not have to cost the value of your Pamamera either! 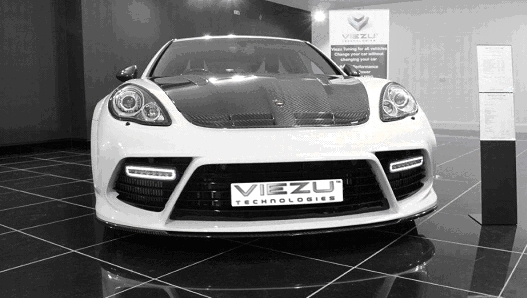 Viezu is the first in the world to offer full Porsche Panamera ecu remapping and engine tuning. The highly skilled Viezu technicians can adapt our high performance tuning files for differences in fuel grade, altitude and local model derivatives. So the Porsche Panamera tuning can be adapted to your exact requirements, so there is no off the shelf standard tuning here at Viezu. Viezu and its worldwide network of dealers can undertake Porsche tuning and Porsche ECU remapping for almost all the range of Porsche vehicles as well as Porsche Panamera tuning, we can cover the Porsche 997 turbo, and Porsche 996 turbo tuning and performance tuning, Carrera, 944, 924 (Older models will require chip tuning) and Porsche cayman tuning and Porsche Boxster tuning. The 4×4 Porsche Cayenne tuning can be for both petrol and diesel models. All Viezu Porsche tuning, and all our ECU remapping comes with our try before you buy, money back promise and independent insurance.